What is a 240 Volt Outlet? Most 240 volt outlets are found in older homes, and high-powered appliances. The 240 volt outlets are intended for use specifically with this equipment, which host a 240 volt plug. They are easily recognizable as they are bigger than typical outlets and are characterized by a large three-pronged design. Adding additional 240v plug to your home or business will greatly increase convenience as you will have the ability to run appliances of any size, anywhere you see fit. Are you conducting a remodel and need to install an outlet that can accommodate a high-powered appliance? Have you recently purchased a high-powered appliance and don’t have an outlet with enough power to operate it? 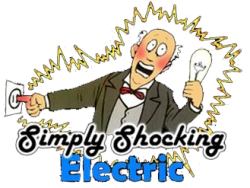 Contact the Experts at Simply Shocking Electric to have a 240 volt outlet installed. These types of outlets require special circuitry that normal outlets do not, therefore installation should always be conducted by an experienced, licensed professional. 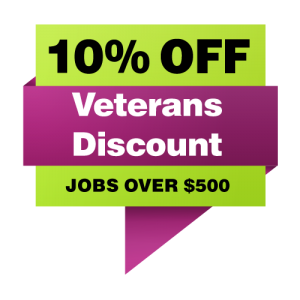 Simply Shocking proudly provides 240 volt electrical outlet installation and replacement services for our valued customers in the Oregon City, Clackamas, Portland OR and surrounding areas. How are 240 Volt Electrical Outlets Installed? First, we must determine the desired location for the 240 volt electrical outlet then prep the area. Prepping the area includes moving all objects away from the installation location. Once we have determined where the outlet(s) will be installed, we will then turn off the power. Next, we will cut a hole in the drywall where the outlet will be placed. After the drywall is cut, we will drill holes into the studs to run the wiring to the breaker box (all outlets are installed where studs are in the walls). Then we will install the outlet box into the wall and pull the wiring through it. Once the outlet box is secured, we will attach the new wiring to the outlet receptacle and install it into the outlet box. Upon installation of the outlet receptacle, we will then go to the breaker box to connect the wire then test the outlet to ensure it is in proper working order. Simply Shocking Electric are licensed and certified electricians serving the entire greater Portland OR area. They are qualified to conduct residential and commercial 240v outlet installation and replacement services. When you choose Simply Shocking Electric for your 240 volt outlet needs, you are getting service that you can count on. Contact Simply Shocking Electric today to schedule an appointment, or to request a Free Estimate.